Teleretinal diabetic retinopathy screenings identify people at risk for a disorder called diabetic retinopathy, which affects more than 5.3 million Americans. UCLA researchers found that offering an eye exam for people with diabetes in a primary care setting, in addition to eye clinics, dramatically reduced the length of time people had to wait for the exam and increased the number of people who underwent screenings. The exam, teleretinal diabetic retinopathy screening, identifies people at risk for a disorder called diabetic retinopathy, which affects more than 5.3 million people in the U.S. and can cause blindness if untreated. The screening programs could help maximize access to much-needed eye exams for largely underserved segments of the population. The paper’s senior author is Carol Mangione of UCLA, leader of the CTSI Workforce Development Program. The lead author is Lauren Daskivich of the Los Angeles County Department of Health Services. Other authors include Carlos Martinez Jr. from the CTSI partner institution, Charles R. Drew University of Medicine and Science. The research was supported in part by the UCLA Clinical and Translational Science Institute as a UCLA CTSI-Los Angeles County Department of Health Services project. 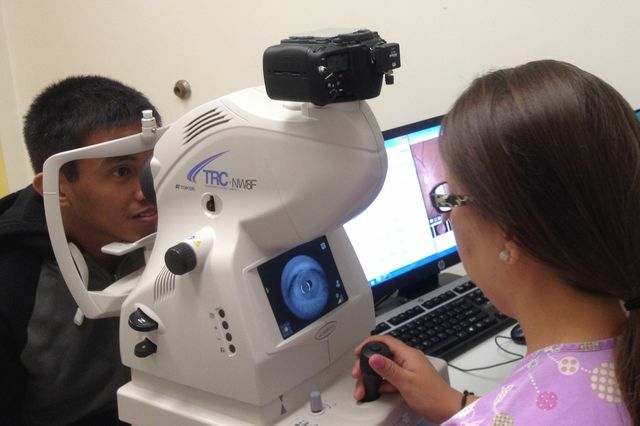 Go to the CTSI Community-Partnered Research Projects page to view the teleretinal screening program and other UCLA CTSI-Los Angeles County Department of Health Services projects.